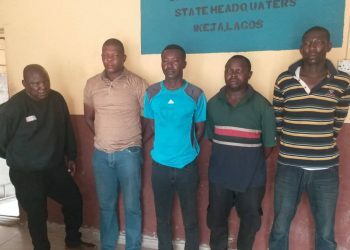 Five Police officers have been arrested by operatives of the Lagos State Police Command while Inspector, Dania Ojo has been declared wanted, for shooting dead a girl, Ada Ifeanyi, in the Apapa area of Lagos State and inflicting life-threatening injuries on Emmanuel Akomafuwa. The policemen arrested were identified as: Inspector Adamu Usman, Sergeant Adeyeye Adeoye, Sergeant Kashim Tijani, Sergeant Lucky Akigbe and, Sergeant Paul Adeoye. 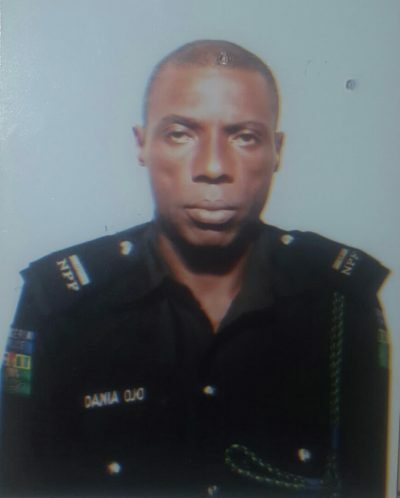 However, Inspector Dania Ojo, who escaped immediately after the shooting incident, has been declared wanted by the Command. The state’s Police Public Relations Officer, Bala Elkana, said the Police officers from Trinity Police Station were already facing internal disciplinary actions at the Command’s headquarters, Ikeja, adding that if found wanting, they would be prosecuted in conventional court for murder. According to him, their rifles have been retrieved for forensic analysis by ballisticians. The incident happened on Saturday, April 13, 2019 around 7am. The victims were rushed to the hospital where Ada Ifeanyi was confirmed dead, while Emmanuel Akomafuwa was placed on admission and is receiving treatment from the injury he sustained as a result of the shooting. Elkana, who condemned the rate at which policemen have been involved in the killing of unarmed civilians, said the state police commissioner, Mu’azu had expressed his deepest condolences to the bereaved family, adding that the Command, in its effort to rid the Force off ‘criminal elements,’ subjects any officer found culpable to disciplinary measures, dismissal and prosecution in a convention court.